Home Articles Does Anti-Copyright Help Big Business? Does Anti-Copyright Help Big Business? In a recent article on The Register, photojournalist Sion Touhig talked about how, in his view, the anti-copyright and copyleft movements were hurting small and independent artists and helping big businesses exploit the effort of the public. His argument is that the copyleft movement as well as the rise in “citizen journalism” have devalued digital assets to the point that only the largest of businesses can profit directly from them. In short, digital assets are now an economy of scale and only the largest players have the resources and infrastructure to take advantage of them. According to Touhig, this results in a kind of “share cropping” that enriches large businesses at the expense of individual authors and user generated content, or “crowdsourcing” is just another face of the problem. Though Touhig makes many valid points, he also misses a few. In his rush to protect his profession, he forgets that many of the changes to it are inevitable and unrelated to copyright law in any way. First off, the overarching point of Touhig’s article is very much true. Only large companies and wealthy copyright holders can really afford to protect their rights. Though individuals can use the DMCA or cease and desist letters, we generally lack the resources to sue infringers and collect damages (Unless one sends invoices to infringers). Second, he is correct that the value of digital works has plummeted. When I was growing up and learning graphic design, stock photography was an expensive commodity. Many resorted, with mixed results, to clip art. Now, sites like the Stock XCHNG and Flickr give away images, especially for non-commercial use. Third, I also have to echo his concerns about “sharecropping” on the Web by sites that use user-generated content (UGC). Though charity sites call upon the collective good of humanity, for profit companies, many of which are worth millions, get all of their material at zero cost by having users create it for them. Though a risky strategy from a copyright standpoint, it does eliminated all labor costs. Most anti-copyright arguments are based on a distaste for unfairly held “property”. But for individual authors, it’s not, and never really has been a property issue – it’s our labour we’re talking about. It’s a well-worded statement. 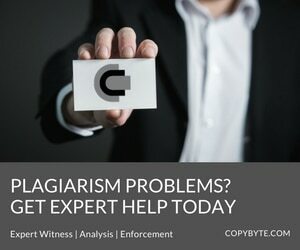 Copyright law, to the individual author, isn’t about owning property, but about receiving the fruits of their labor and having at least some control over what they create. Despite all of the things Sion got right, there are more than a few points that I took at least some issue with. First, the dramatic decrease in the value of digital assets is only due in part to copyright infringement. The core problem is one of simple supply and demand, especially in his field of photography. The demand has remained relatively unchanged but, with the rise of the Internet and affordable point-and-shoot digital cameras, the supply has increased many fold. Most photographers today are more hobbyists. They take photos with easy to use cameras of decent quality and post them to sites like Flickr or their own blog. Since they have day jobs and aren’t looking to make a living, they release their photos for others to use. This is definitely a problem for professional photographers. Where once they had a monopoly on news and stock-worthy images, now the Web is flooded with them. The skills and equipment of professional photographers have become more accessible to everyday citizens and the Internet has made it easy to share. While this is a problem for people like Touhig, it has nothing to do with copyright. People who do something for fun will sell their products for less, if at all, and if their quality is remotely comparable to that of professionals, professionals suffer. This is true in any industry, from making surfboards to taking pictures. However, my biggest issue is that Touhig seems to give up. His traditional means of making money from his craft is fading so he assumes that there is no other way to make a living as a photographer. Photobloggers, however, will quickly tell you otherwise. Does the combination of copyright infringement and freely available work make it hard to earn a living selling digital copies? Absolutely. But the new content economy isn’t based upon selling digital copies of a work, but on finding new ways to make money from your art. It can be done, it just requires a different way of thinking and a new approach to the craft. The business model changes, but the art and the independence remain. These changes are being forced on writers, artists and photographers not by copyright law, but by the Internet. Even though Creative Commons Licensing and even public domain licensing are increasingly common, many, if not most, still release their works under traditional copyright, either through intent or through a lack of understanding. After all, if no license is offered by the copyright holder, it is automatically receives full protection. Users may not recognize or respect that, but big business, with the risk of big losses, will. There is little doubt that many individual artists, in all classes, are suffering due to the changes brought on by the Web. Others, however, are clearly thriving. I feel somewhat fortunate that, as a writer, I was not established before the Web came along. In fact, what establishment I have is due to the Web. For me there is no adjusting or adapting. For others, like Touhig, there will be adjustments to make and they will, at times, be severe. Some will not be able to adjust and will have to find other work or retire. But the established artists who can adjust will quickly find themselves as frontrunners in the pack. With recognizable names and reputations, they can lead if they can evolve. If they can’t evolve, well, history has shown us what happens then. The bottom line is that content is both valuable and worth protecting, but new realities call for new approaches. Many of Touhig’s concerns are valid and hopefully can be addressed, but others are shades of a changing industry and a changing world, not changing attitudes about copyright law.